“Gerrymander” is defined as: “To divide (an area) into political units to give special advantage to one group.” It was named after Elbridge Gerry, Governor of Massachusetts, who in 1812 signed a law redistricting state election districts. One district in Essex County was described as looking like a salamander, thus the word “Gerrymander” was created by combining the names. Wisconsin has one of the worst cases in the country of using gerrymandering to give “special advantage to one group” – in this case Republicans in the state legislature. But gerrymandering is a bi-partisan problem according to Jay Heck, executive director of Common Cause in Wisconsin. The two worst Democratic states are Rhode Island and Maryland, while Wisconsin and North Carolina comprise the two worst Republican states Heck reports. The big difference is that Wisconsin is the first such state to have a three-judge federal appeals panel rule that Wisconsin’s redistricting law “constitutes an unconstitutional political gerrymander.” The panel voted 2-1 to direct the state to develop a new redistricting plan and have it in place by November 1, 2017 for the 2018 elections. Wisconsin has one of the worst cases in the country of using gerrymandering to give “special advantage to one group,” in this case Republicans in the state legislature. But gerrymandering is a bi-partisan problem according to Jay Heck, executive director of Common Cause in Wisconsin. The two worst Democratic states are Rhode Island and Maryland while Wisconsin and North Carolina comprise the two worst Republican states Heck reports. The big difference is that Wisconsin is the first such state to have a three judge federal appeals panel rule that Wisconsin’s redistricting law “constitutes an unconstitutional political gerrymander.” The panel voted 2-1 to direct the state to develop a new redistricting plan and have it in place by November 1, 2017 for the 2018 elections. After the 2010 elections that brought Republicans in majority control of both the state Assembly and Senate, they had control of the redistricting process and hired private attorneys to develop redistricting maps. This was done in secret without any Democratic participation and, so far, the taxpayer cost of developing and defending the maps is $2.1 million. Now, instead of carrying out the appeals court order, more very expensive lawyers are being hired to appeal the case to the United States Supreme Court, also at taxpayer expense. Judge Kenneth Ripple, one of the three-judge panel, wrote “There is no question that Act 43 was designed to make it more difficult for Democrats, compared to Republicans, to translate their votes into seats.” For example, in 2012, Republicans got 48.6% of the statewide vote but won 60 seats in the 99-seat Assembly. Democrats in 2012 received 51.4% of the vote but only won 39 Assembly seats. “The evidence establishes, therefore, that even when Republicans are in an electoral minority, their legislative power remains secure,” Ripple wrote. One simple solution to this partisan gerrymandering is called the Iowa plan that was enacted into law in 1980 by a Republican governor and a Republican-controlled Iowa Senate and House. In Iowa a non-partisan state agency draws the maps, following specific guidelines, that are then voted up or down by the Iowa legislature. Senate Bill 13, introduced in Wisconsin, would direct the Wisconsin Legislative Reference Bureau, a non-partisan Legislative agency, to draw electoral maps. This would give Wisconsin the trust and confidence of its voters in our electoral system. And, it would be free; no need to pay expensive lawyers. Of course “power corrupts” and Republicans will not easily give up their “special advantage” just as Democrats in Rhode Island are unlikely to give up their power. For over 200 years gerrymandering has been recognized as giving unfair advantage to one group over another. To me, the moral of Wisconsin’s gerrymander story is that unconstitutional gerrymandering is not only unfair, but it is very expensive for taxpayers. In a time when we are hearing about “rigged elections,” we incorrectly think of individual voters casting illegal votes at the polls. But in Wisconsin and many other gerrymandered states, the election is rigged well before anyone casts a vote because gerrymandering predetermines the winner in most districts. Elections are supposed to be free and fair, but – until we get rid of gerrymandering – they will be neither in Wisconsin. We need a change! 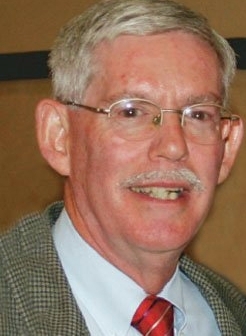 Tom Frazier is a member of the Common Cause in Wisconsin State Governing Board, and was the executive director of the Coalition of Wisconsin Aging Groups from 1983 to 2010.